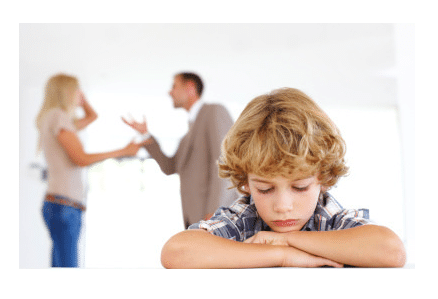 Child custody is one of the most contentious parts of a divorce agreement. Divorcing parents must make a shift in mindset when they move from dividing assets to negotiating child custody. Emotions must be set aside in order to make a decision based on the child’s best interests. Divorce does not have to mean sole custody for one parent and full loss for another, or even a rigid 50/50 split. Custody agreements come in many forms that balance the abilities and resources of each parent to build outcome that’s in the best interests of the child. There are two types of custody: physical and legal. A parent with physical custody takes care of the child’s day to day needs and the child usually lives with them. A parent with legal custody has authority in making major decisions about the child’s life such as education, healthcare and religious upbringing. Different types of custody agreements involve sharing both physical and legal custody in different ways. ● Joint custody: The child lives primarily with one parent and parents share legal custody. There is usually a rotating schedule for physical custody. Alberta courts usually award joint custody while seeking to maximize the role of each parent in the child’s life. ● Shared custody: The child lives roughly equally with each parent (at least 40% of the time with each) and legal custody may or may not be shared in different ways. ● Split custody: Siblings are split between parents. Parents may or may not share legal custody of all children, and may or may not rotate physical custody. ● Sole custody: One parent has full legal and physical custody. When considering all factors involved, the courts will make a decision based on the best interests of the child. Courts typically grant primary custody to the primary caregiver before the divorce, which is often the mother. They also consider how much time a parent can give to a child, therefore how much each parent works will be balanced against their ability to support the child financially and emotionally. Shared custody is often preferred if one parent is away for extended periods of time, if one parent is less financially stable, or if one parent is ill, injured or otherwise less able to care for a child. Going from being a full-time parent to a shared custody arrangement can be difficult. You may want to win sole custody, but it is important to prioritize your child’s best interests. Consider your time, resources and relationship to your child from the objective perspective of the court. How demanding is your work schedule? Do you travel frequently? Does the child need both parents actively involved in their life, or will they be more secure in a sole custody arrangement? Are you able and willing to make the changes necessary to become a full-time single parent? Courts rarely cut off contact between a child and a parent, unless it is in the best interests of the child. Fathers tend to have more difficulty winning full or primary custody than mothers. This is not because the courts discriminate against fathers, but because they favour the primary caregiver who is usually the mother. A mother can lose custody of her child if there are extenuating circumstances that reflect on her abilities to parent, such as allegations of abuse, neglect or substance abuse. Adultery and other marital offenses are not sufficient cause to deny custody. A father can win a child custody case when the mother is the primary caregiver by demonstrating commitment, ability and willingness to make the life changes needed to become a full or part-time single parent. Invest time in building a strong relationship with your child, make your home ready for a child to live in, and attend and show interest in school and extra-curricular events. Always be respectful of your co-parent and pay any ordered child support. Keep records of your visitations and develop a plan for how you will support and care for your child so you can demonstrate you are prepared for sole or primary custody. How does child support work with 50/50 custody? If you win shared custody or another variety of joint custody, you may still have to pay child support to your co-parent. However, because each parent is assumed to be paying for the child’s ordinary expenses, the Child Support Guidelines say that this may be less than the table amount. First, the table amount for each parent is determined based on gross annual income, and the smaller amount is subtracted from the larger amount. The remaining amount is called the “set off.” The parent with the larger table amount pays the set off to the parent with the lesser amount. Other factors such as whether one parent lives with a partner who shares expenses or has other dependents may also be considered. If you want to know how to get custody of a child in Edmonton, the advice of an experienced family lawyer is invaluable. We will help you assess your situation and understand all options to secure the best custody agreement for your family.